Many times when beginning to work with a short sale specialist or when learning about the short sale process, what happens at the end of the process and at closing doesn’t always come up right away, even though it’s one of the most important steps in a short sale. There are many questions that both buyers and sellers have regarding the closing of a short sale, such as who is responsible for the closing costs, commissions and fees related to the transaction. A short sale contract is different from a traditional real estate contract in that there is a sheet listing who is paying what in regards to escrow fees, transfer fees, inspections, commissions, etc. Often times the contract states that the seller is paying these, however this is typically not the case, if you’ve hired a knowledgeable short sale specialist. 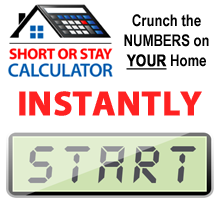 In a short sale, any fees (including realtor commissions) have to be approved by the lender before the short sale is closed because the lender is actually the one that will be paying these fees out of the proceeds from the sale of your home. This is all part of the negotiation process between the short sale specialist and the lender, and is also often times why a short sale can take a few months to get worked out. If you are working with an experienced short sale specialist in the Denver area, one of their main goals should be to ensure that you come to the closing table without bringing any cash out of pocket. There are times when this is hard to do, especially if there are multiple liens on the home, however working with a short sale specialist that doesn’t take ‘no’ for an answer is important if you want to walk away from your home without have to bring any cash to closing.